Tim Curry - Bio, Where Is He Now? Is He Gay, Dead Or Alive? Daring, multi-talented and exuberant, Tim Curry’s career has been one of immense adventure. Over the course of a glittering career spanning well over five decades, Curry, a graduate of the University of Birmingham has tried his hand successfully at almost all aspects of acting with a tendency to go for daring and unconventional roles. Curry is most renowned for his role as Dr. Frank-N-Furter in The Rocky Horror Picture Show. He has also appeared in numerous stage plays including Amadeus, Travesties, The Rivals, Love For Love, amongst many others. Tim Curry was born in the suburban village of Grappenhall in Cheshire, North West England, on 19 April 1946 – to James and Patricia Curry. His father passed on while he was still aged 12. He attended Lymm High School before moving to the Kingswood School. He enrolled to study English and Drama at the University of Birmingham and graduated with Combined Honors in 1968. His first work of note was a theatre musical titled Hair production. In 1970, Tim joined the Royal Shakespeare Company for a few productions. His big break came in 1973 at the Royal Court Theatre where he played the Dr. Frank-N-Furter in The Rocky Horror Show. This would go on to become the role for which he would be most remembered for. In 1975 he appeared in a reprised film version. After the success of The Rocky Horror Show, he appeared in the horror movie The Shout in 1978. Two years later, he played Robert Graves in the horror film The Shout. Curry has appeared in movies such as The Hunt for Red October, Congo, Addams Family Reunion and the 1999 classic Pirates of the Plain. 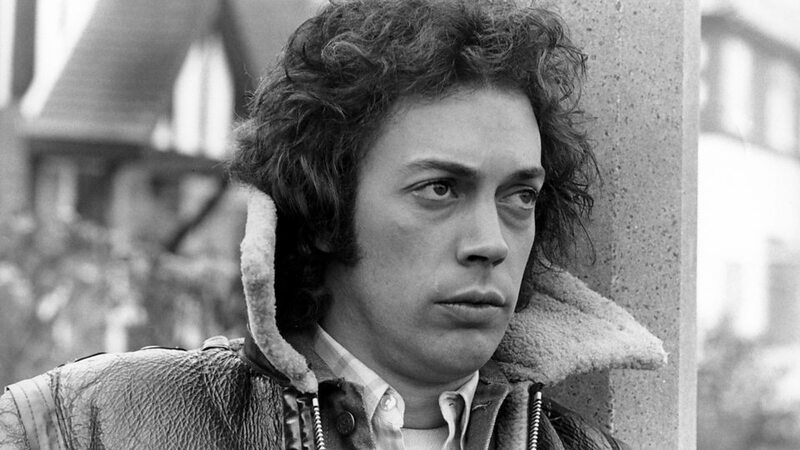 Tim Curry also has an accomplished career as a musician, he released his first album Read My Lips in 1978, the next year, he dropped his second album Fearless with tracks like Paradise Garage doing really well on the charts. His third album Simplicity was released in 1981. Curry also voiced over 30 animated television series and films throughout his career. they include The Little Mermaid, The Greatest Adventure: Stories from the Bible and Captain Planet and the Planeteers. It is no surprise that Tim Curry’s sexuality has been a source of mystery. He rarely gives interviews about his personal life, has never married and doesn’t have a child. However, it will be misplaced to call him gay as he has never come out to disclose his sexual orientation. Is Tim Curry Dead or Alive? Tim suffered a stroke in July 2012 while at his Los Angeles home. The ailment severely impaired his speech and mobility and has since been confined to a wheelchair. To the surprise of many, his handlers were able to keep news of his stroke away from the paparazzi for an astonishing 10 months. The first news outlet to get wind of this was London’s Daily Mail which ran a story on his health in mid-May 2013. At this point, Curry had regained the ability to talk and was recuperating nicely. Like the proverbial cat with nine lives, Curry was back to work in no time. This time, however, he stayed away from the cameras and resorted to voice acting. In 2014, Curry lent his voice to Cartoon Network’s Over the Garden Wall where he voiced a rather subdued role of an oversized, turtle-eating but caring guardian of a little girl possessed by an evil spirit. Though hampered by health issues, Tim Curry is very much alive. Curry’s age and health concerns have limited his public appearances. He makes only occasional appearances at small occasions in Los Angeles. In 2017, Curry performed at the Los Angeles cabaret Rockwell Table & Stage alongside Jamie Donnelly. He sang Irving Berlin’s hit What’ll I Do. Curry lives in Los Angeles California. Also Read: What Happened to Tom Hulce? His Wife, Net Worth, Is He Gay? * At the tender age of 6, Tim was already singing at a Church choir as a boy soprano. * His full birth name is Timothy James Curry. * At the earlier stages of Tim working on his character as Dr. Frank-N-Furter in The Rocky Horror Show, he had to rehearse with a German accent. * Curry won a Daytime Emmy Award for Outstanding Performer in a Children’s Series for his role of Peter Pan and the Pirates. * He won a Royal Variety Club Award for Stage Actor of the Year in 1982 for his performance in The Pirates of Penzance. * Tim has released a total of three solo albums during his career.